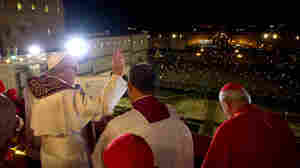 The Papal Succession Benedict XVI's papacy ended in February. 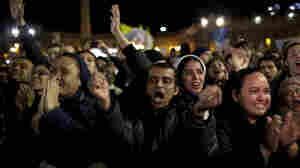 The task of choosing the next pope falls to 115 red-robed cardinals known as the "princes" of the Catholic Church. Here, NPR's coverage of the selection of the next pope. March 19, 2013  The new pope pledged to "embrace with tender affection the whole of humanity, especially the poorest, the weakest, the least important." March 19, 2013  At a mass in St. Peter's Square, the pope appealed to political leaders of the world to protect the environment, the poor and the marginalized. Representatives of the world's major religions were present, as well as some 132 delegations from all over the world. 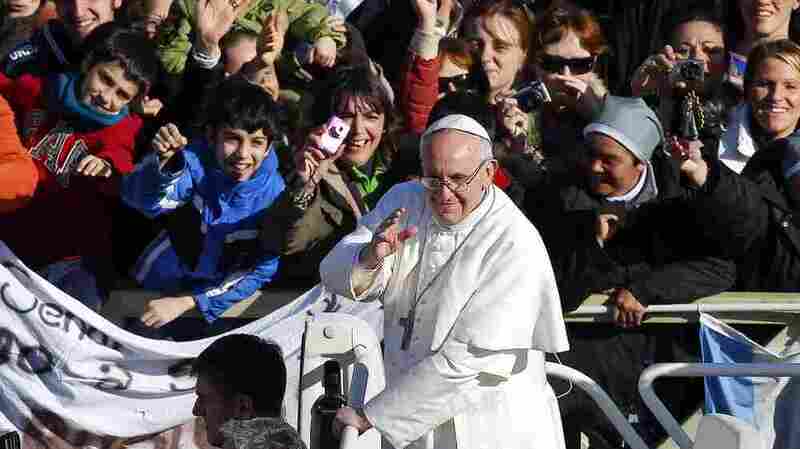 March 19, 2013  Pope Francis is formally inaugurated in a mass in St. Peter's Square Tuesday. Leaders from all over the world are attending. In less than a week, the pope has made himself known to the Catholic world and beyond for his direct and simple words and gestures. March 16, 2013  Pope Francis held a press conference Saturday, addressing the thousands of journalists who have been at the Vatican to cover his election. Host Scott Simon talks with NPR's Sylvia Poggioli in Rome. March 15, 2013  Pope Francis' status as the first Jesuit marks a momentous milestone in history. March 15, 2013  The new pope says Benedict's prayers fuel the church and calls on the prelates to find new ways to evangelize "to the ends of the Earth." March 14, 2013  Saint Francis of Assisi is the namesake of the new pope, Francis. To learn about the life of Saint Francis and his legacy in the Catholic Church, Melissa Block talks with with Father Jeremy Harrington. He's guardian of the Franciscan Monastery of the Holy Land in America. 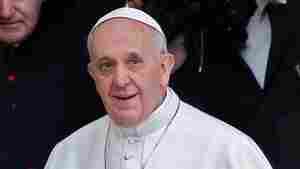 March 14, 2013  Pope Francis' spent his first day as leader of the Roman Catholic Church on Thursday. March 14, 2013  Melissa Block speaks with John Connaughton, a 36-year-old American seminarian studying at the Pontifical North American College in Rome, about what it's like to witness the transition of popes firsthand. March 14, 2013  The job is hard, she told an Argentine news station, and the world is also tough. She asked the world to pray for her brother. 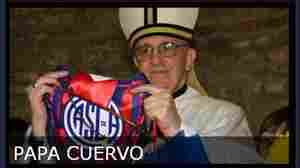 March 14, 2013  The new pope is a big fan of the Argentine team San Lorenzo, from his home town of Buenos Aires. Known as "Los Cuervos" ("The Crows"), the team has enthusiastically adopted Francis as its "papa." March 14, 2013  The Jesuits are the single-largest Catholic order, known for their dedication to education and devotion to the poor. But in the past, they have also proved controversial. March 14, 2013  The first pope from the New World must now confront some old problems. He's begun his first full day as head of the church by slipping out of the Vatican to visit an ancient basilica. 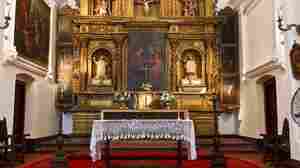 There, he quietly prayed with priests. March 14, 2013  Roman Catholics woke up Thursday with a new pope — the first non-European supreme pontiff since the early centuries of Christianity. 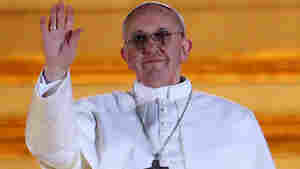 The Argentine chose the name Francis, never before used by any other pope. That could signal the start of a new chapter for the crisis-ridden church. March 14, 2013  Newly minted Pope Francis, as archbishop of Buenos Aires, was known for his humility, for standing with the poor, and for his staunch conservatism on church teachings. With no experience in Vatican administration, the strength of this first Jesuit pope is thought to be his intellectual vigor and his pastoral skills. What Kind Of Leader Might Pope Francis Be? March 14, 2013  Even before he spoke a word, the Catholic Church's new pope sent a signal to the world about what kind of leader he may be by choosing the name Pope Francis. The Vatican has confirmed that is a homage to St. Francis of Assisi, the 12th century Italian nobleman who renounced the trappings of wealth and became a champion for the poor. For more, Renee Montagne speaks with the Rev. Thomas Reese, an analyst with the National Catholic Reporter. March 13, 2013  Pope Francis is the first pope from Latin America, a choice that makes sense strategically as the church becomes less Europe-centric. But how he will direct the church, which is still dealing with the fallout of the sexual abuse crisis and other challenges, remains unclear. March 13, 2013  One of the first personal tidbits to emerge about Pope Francis: He cooks for himself. 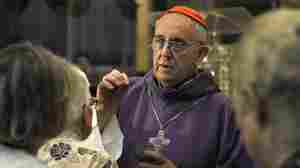 But austerity and humility are two of the new pontiff's defining characteristics. And they seem to extend to his eating habits.